The United Nations just concluded another round of international negotiations on climate change — this time in the oil-rich Emirate of Qatar. If you missed hearing about it, that’s understandable. Since the failure of Copenhagen in 2009, many have stopped paying attention to the U.N. climate talks, which have essentially become a painful reminder of the global political-economic system’s inertia as it barrels toward self-destruction. Even after a year marked by record temperatures, unprecedented melting of the Arctic sea ice, crippling droughts and devastating storms, the member states of the U.N. Framework Convention on Climate Change were only able to find common ground on a handful of half-measures — principally an extension of the commitment period for the Kyoto Protocol (which now only covers countries responsible for a combined 15 percent of global carbon emissions). Meanwhile, they failed to commit necessary money to aid adaptation in poor countries, and made no serious progress toward the proposed 2015 treaty, which many see as a last chance to prevent the worst long-term impacts of climate change. Of course, policy-making isn’t the only thing that happens at these meetings. The U.N. negotiations have also become an annual point of convergence for climate activists from around the world, many of whom are able to get NGO accreditation and inside access to the convention center. In this way, the talks serve as one of the only spaces where activists who usually work on discrete and localized pieces of a truly global problem can actually collaborate on the international stage. Historically, these groups have acted as a check on the negotiations, publicly naming and shaming those parties that have proposed the most egregious attempts to assault the planet and undermine human rights. 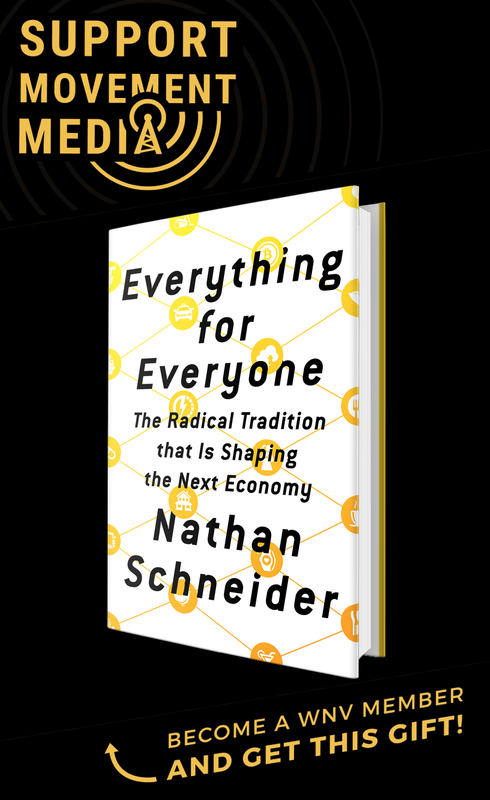 To work among this diverse collection of activists is to get a strong sense, directly from the people involved, of what they do at home and where the climate movement stands in its various incarnations around the world. Viewed from this perspective, the Doha talks offered a more nuanced and slightly more hopeful picture of the state of global climate politics. Many have noted that this year seemed to cement a discursive shift from talking about climate change as a problem for “future generations” to discussing extreme weather and drought as issues of contemporary environmental injustice. 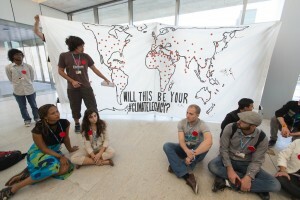 Youth organizations set the tone of urgency and global solidarity early on by appearing in press conferences as well as in the halls of the convention center with a giant crowd-sourced “climate legacy” map, showing the deleterious impacts of extreme weather from across the globe. 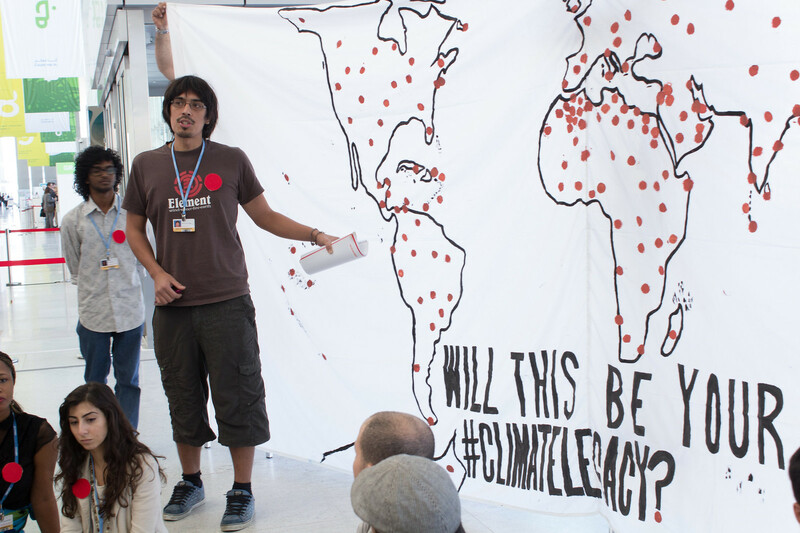 The map served as a backdrop for young people from Nepal, Oman, the Maldives, Nigeria, Taiwan, Colombia, New Jersey and elsewhere to tell their personal stories of growing up vulnerable to a disrupted climate system. As the conference entered its second week, attention turned to the delegation from the Philippines as their nation was assaulted by Typhoon Bopha, the 16th extreme weather event to hit the islands this year. Filipino negotiator Yeb Sano captured the attention of international media with his impassioned pleas on the plenary floor. Within the hallways of the conference center, civil society groups held several solidarity actions with the Philippines and other developing countries, urging them to stand strong on their negotiating positions and to reject the text if necessary. The turn from a discussion of threats facing future generations to the injustice of contemporary climate tragedies is frightening in terms of what it says about where we stand on the pathway to climate chaos. However, there is also evidence to suggest that these early warning signs can have dramatic impacts on public support for bold climate action, as recent polls in the U.S. show. 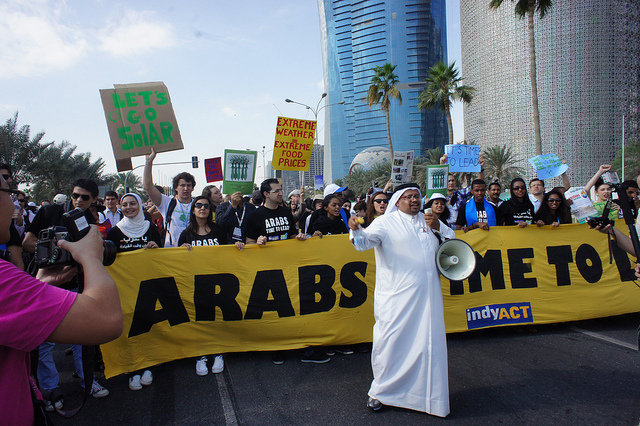 A positive sign in Doha was the emergence of the Arab Youth Climate Movement (AYCM) as a player on the international scene. The post-Arab Spring coalition, assembled this fall with the help of Beirut-based IndyAct, includes young activists from 15 countries in the Middle East and North Africa. At home, these organizers navigate a diversity of political contexts in terms of their countries’ vulnerabilities to climate change, tolerance of dissent and dependence on fossil fuel exports. However, in Qatar they spoke loudly with one voice, calling on Arab governments to pledge emissions reductions. The group helped organize and lead a march, which was historically significant as the first ever climate protest in the Arab Gulf, and the first civil society march of any sort in modern Qatar. Later in the week, two activists from the AYCM flexed their civil-disobedience muscles unfurling a banner reading “Qatar: Why Host, Not Lead?” in an unsanctioned area of the convention hall. The two young men, hailing from Libya and Algeria, were removed from the conference center and subsequently deported from Qatar. Adding to this hopeful development was a strong sense of common language and common analysis rooted in 350’s Do the Math campaign and Bill McKibben’s now famous Rolling Stone article from this past summer. The understanding that fossil fuel companies hold in their reserves five times the safe amount of carbon that can be burned in the next half century provides a clear explanation of why they’ve spent so much money distorting the public discourse around climate science and buying off politicians and governments. Having this common language allowed activists to go on the offensive in highly visible actions against the global fossil fuel industry, an essential actor often left out of the story when discussing international climate politics. The actions enabled a show of solidarity between activists on the ground in Qatar and those working to revoke the social license of the fossil fuel industry through divestment campaigns in Canada and the U.S. — easily the two biggest sovereign obstacles to international progress. The planning of the actions involved some important, if not difficult, conversations between Western and Arab activists about how to vilify multinationals without stepping on the toes of those pushing for the economic diversification of petro-states. As veterans of the anti-globalization movement can attest, there are serious limits to summit-chasing. The opportunities for collaboration and convergence are huge, but such efforts are always in reaction, always on the defensive, and always overshadowed by the power and inertia of the target. 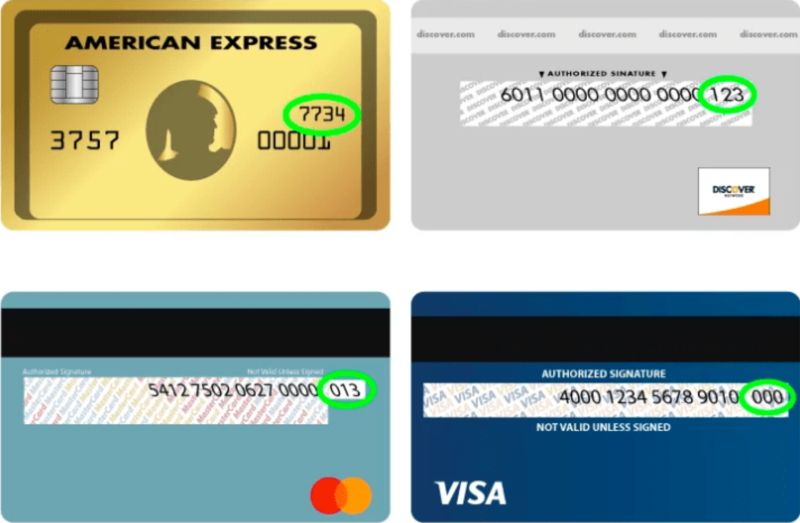 Furthermore, the number of people who can take part is severely limited by the cost of travel. This was very much the case in Doha. Activists needed to be there to highlight the gap between what science and justice demanded and what was being offered by governments, but they were hard pressed to find the space to articulate or mobilize an alternative vision. They also struggled to properly tap into the grassroots power of those who have everything to gain from the transition to a just and sustainable low-carbon global economy. Throughout the week there was a great deal of buzz about an upcoming opportunity to do just that. Activists discussed applying to be one of a handful of representatives from their country to take part in the Global Power Shift convergence being held in Istanbul, Turkey, in June 2012. The project is spearheaded by a diverse coalition of major environmental groups. It is intended to spark a two-year coordinated push of conferences, campaigns and mass mobilizations around the globe designed to change the political realities that have thus-far prevented the world’s governments from reaching a fair, ambitious and legally-binding agreement to solve the climate crisis. It is a very tall order, but that’s what we need.